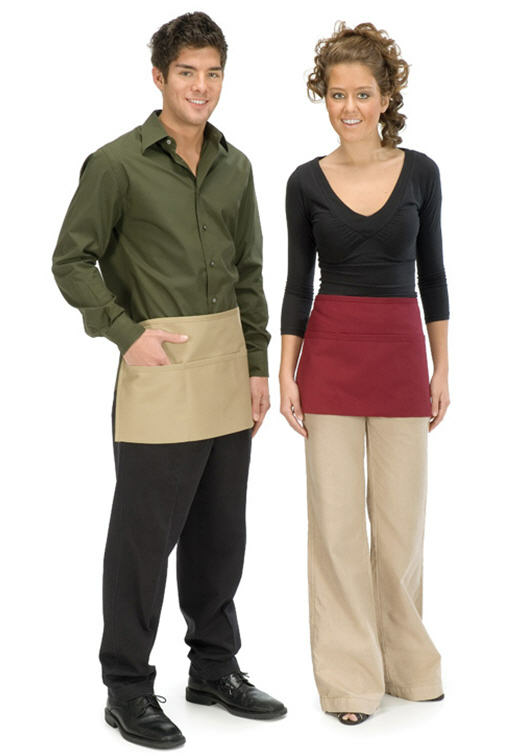 The three pocket waist is our most popular apron, it is used for casual to formal venues. 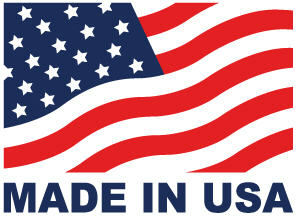 I can't stress enough that most of our aprons are made in the USA! Our three pocket waitstaff aprons are ideal for servers in casual restaurants. The aprons feature three pockets with an optional pencil divider, offering plenty of space for notebooks and other serving essentials. These short, unisex restaurant aprons have extra-long apron strings that make them easier to tie around the waist. They measure 12 inches long and offer plenty of coverage to not only keep your staff organized, but to also protect their clothing from spills and splatters. Three-Pocket Waist Aprons are not only good-looking and functional, they are also exceptionally durable. The aprons are constructed with finished hems and reinforced material at stress points to ensure years of use. 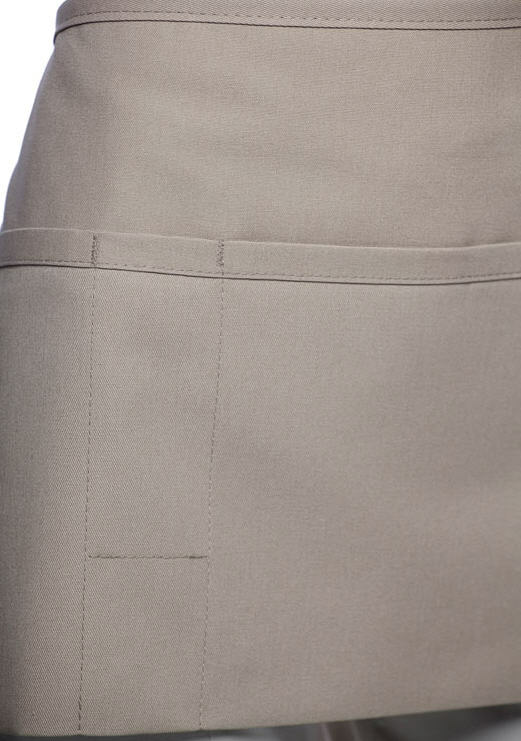 Made of high-quality polyester and cotton twill, our aprons with pockets are designed to outperform the competition and even include special finishes that are soil- and wrinkle-resistant. Available in many bright colors to match your staff's uniforms or restaurant decor, these aprons are made in the United States and may be customized to fit your needs. Aprons were just what we needed. Thank you! The aprobs arrived in just a few days and my co worker and myself both love our aprons. I retired my other 3! ProsThe three pockets are all roomy and not bulky. Hello there! I�€™m wondering if you can tell me how long the strings are off the side of these aprons? Thank you! 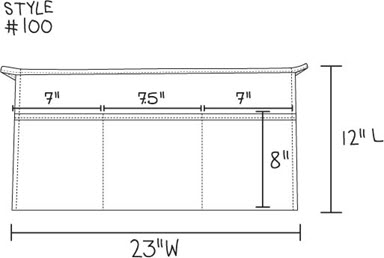 Those are not our apron item numbers, our apron strings are 36 inches long, we can do custom.